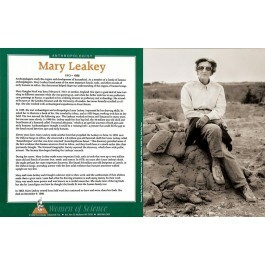 This poster of anthropologist Mary Leakey is one of a series that focuses on great women scientists. The poster features a photo and biographical text. 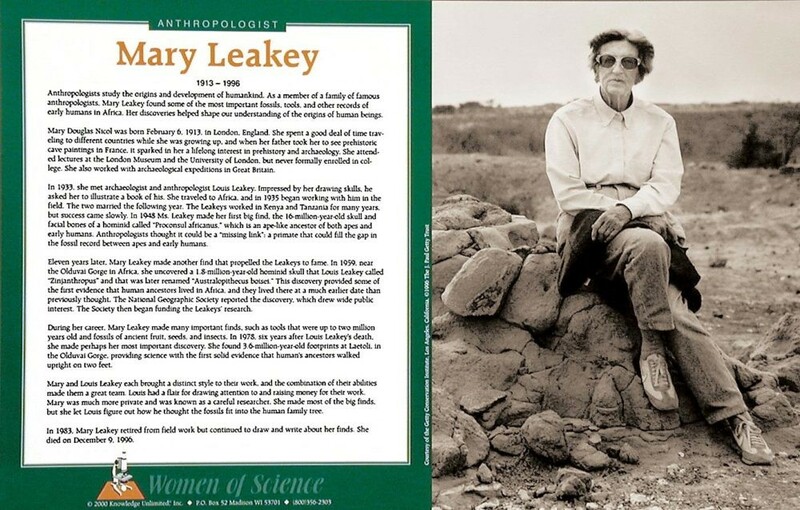 As a member of a family of famous anthropologists, Mary Leakey found some of the most important fossils, tools, and other records of early humans in Africa. Her discoveries helped shape our understanding of the origins of human beings.